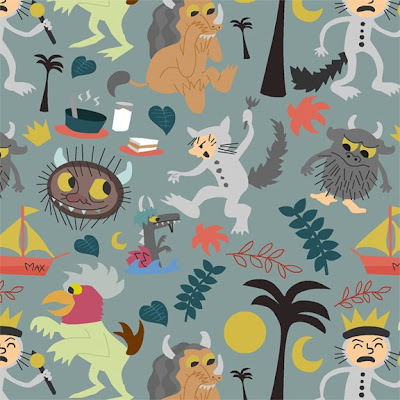 Allie Biondi gets all the elements right in this pattern of Where the Wild Things Are. I love the inclusion of supper in the middle left. And the Water Thing. See more of Allie's delightful works at her site.